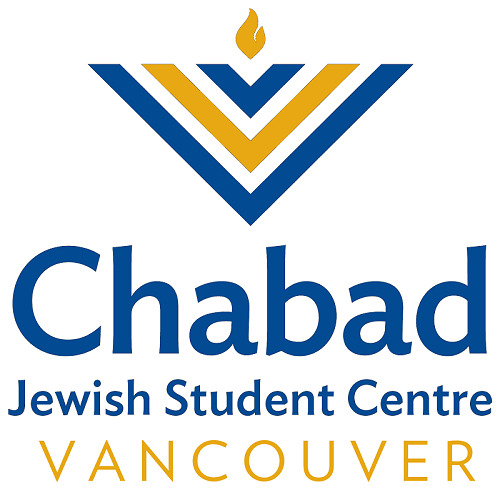 Chabad Jewish Student Centre - Vancouver serves the Jewish student population at UBC, SFU and local community colleges. We are part of a network of over 250+ Chabad centers on campuses worldwide. Chabad campus center programming reflects a tolerant, non-judgmental environment, where open dialogue is welcome, and is a hallmark of Chabad's inclusiveness. We strive to create a "home away from home" for all Jews on campus, a place where Jews of all backgrounds can find community, resources, a smorgasbord of Jewish events and rich opportunities for celebration and study. We want to ensure that all Jewish students graduate as stronger, more empowered Jews. Chabad is located at 1867 Acadia Rd. Click here for a map! Rabbi Chalom Loeub was born and raised in Montreal, Canada. He spent three years studying in the Rabbinical College of Canada, followed by a two years rabbinic internship in Singapore where he received his Rabbinic Ordination. He served as the Associate Rabbi & program director at Chabad at Florida State University in Tallahassee, FL for four years. He speaks, reads & writes English, French and Hebrew. Chalom enjoys cooking, playing his real cool musical instruments, having a good shmooze with students, and playing with his kids. Mrs. Esti Loeub was born in Long Island, NY. She studied at the Lubavitch Girls High School in Chicago, IL, and at the Ohel Chana Seminary in Melbourne, Australia. After working for various Chabad institutions in Philadelphia & Westchester areas, she served as the program director for Chabad of the Upper East Side in Manhattan for three years. She speaks English, Hebrew and Yiddish. Esti enjoys biking, baking, and teaching Torah classes. Benny Loeub was born in January 2012 in Tallahassee, FL. He enjoys playing outside, swimming, sports, and the highlight of his week is welcoming all of the students on Friday nights! Dassie Loeub was born in January 2014 in Vancouver, British Columbia. She loves to color, play, run, sing and dance. She especially likes welcoming students for Shabbat or any social events! Our newest addition, Chaya Loeub, was born in December 2018!